In the last five years, eight states have legalized recreational marijuana. To many, continued progress seems certain. But pot was on a similar trajectory forty years ago, only to encounter a fierce backlash. 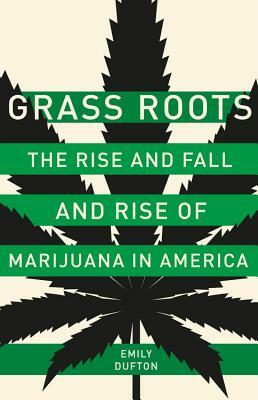 In Grass Roots, historian Emily Dufton tells the remarkable story of marijuana's crooked path from acceptance to demonization and back again, and of the thousands of grassroots activists who made changing marijuana laws their life's work. During the 1970s, pro-pot campaigners with roots in the counterculture secured the drug's decriminalization in a dozen states. Soon, though, concerned parents began to mobilize; finding a champion in Nancy Reagan, they transformed pot into a national scourge and helped to pave the way for an aggressive war on drugs. Chastened marijuana advocates retooled their message, promoting pot as a medical necessity and eventually declaring legalization a matter of racial justice. For the moment, these activists are succeeding--but marijuana's history suggests how swiftly another counterrevolution could unfold. Emily Dufton holds a PhD in American Studies from George Washington University. She lives outside of Washington, DC. "A balanced, comprehensive, scrupulously researched, and vividly rendered narrative cultural and political history of marijuana in America. Emily Dufton's passion for her subject matches the fervor of the pro- and anti-marijuana movements she chronicles. This book puts her well on the way to becoming one of the preeminent drug historians of her generation."